The Diesel engine was the invented by Rudolf Diesel. His invention has had a major impact on the powering of today’s transportation methods. 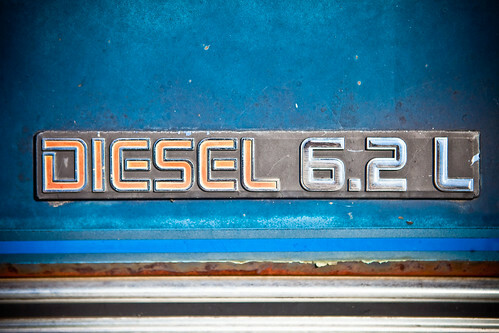 Diesel engines were used initially as stationary engines and in agricultural machines. As the engine was developed however it became widely used in trains, trucks and in modern automobiles. Rudolf Christian Karl Diesel was born to German parents in Paris, France on March 18th 1858. He was educated in his father’s home town of Augsburg in southern Germany. He later studied at the Royal Bavarian Polytechnic of Munich. Diesel graduated with distinction in engineering in 1880. Following graduation he worked for a time in the refrigeration industry in France. In 1890 Diesel moved to Berlin to work in the area of research and development for the same refrigeration company. While working in Berlin, he began developing the diesel engine. He was granted a patent for the engine on February 28th 1893. Rudolf Diesel, who invented the diesel engine, disappeared form the ship on which he was travelling to London for a meeting, in the year 1913 On This Day. Rosa Parks was a civil rights activist in the United States. Her refusal to give up her seat on a bus in Montgomery, Alabama on December 1st 1955 to a white passenger led to a citywide bus boycott. The boycott was led by Rev Martin Luther King. The boycott lasted 382 days before the law which mandated segregated public transportation was lifted. Rosa Louise McCauley Parks was born in Tuskegee, Alabama in 1913. She was of African, Scots-Irish and Native American descent. At the time of her arrest she was working as a seamstress. She was also secretary to the local chapter of the National Association for the Advancement of Coloured People. 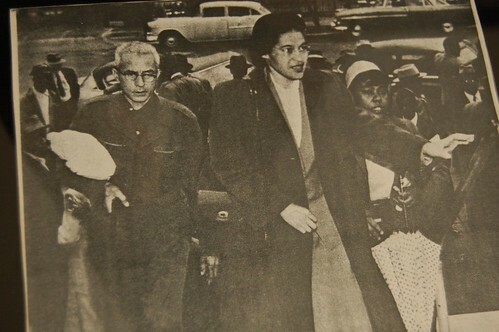 Her refusal to give up her seat became an important symbol of the Civil Rights Movement. Rosa Parks, whose refusal to give up her bus seat to a white passenger in Montgomery, Alabama led to the ending of segregation of public facilities, was born in the year 1913 On This Day. Jesse Owens was a track-and-field athlete who was a native of the USA. He won four gold medals at the Olympic Games in Berlin in 1936. He has been described as ‘perhaps the greatest and most famous athlete in track and field history. In 1976 he was awarded the Presidential Medal of Freedom and was awarded the Congressional Gold Medal in 1990. James Cleveland ‘Jesse’ Owens was born in Oakville, Alabama in 1913. He was a successful high school athlete and in 1935 set three world records whilst competing for Ohio State University. 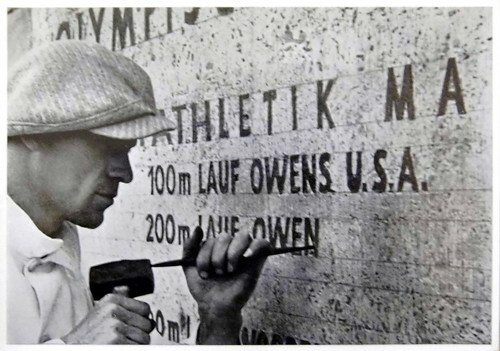 At the 1936 Olympics, Owens won gold medals in the 100 meters, 200 meters, long jump, and 4 × 100 meter relay. Jesse Owens, the first athlete to win four Olympic gold medals, was born in the year 1913 On This Day. 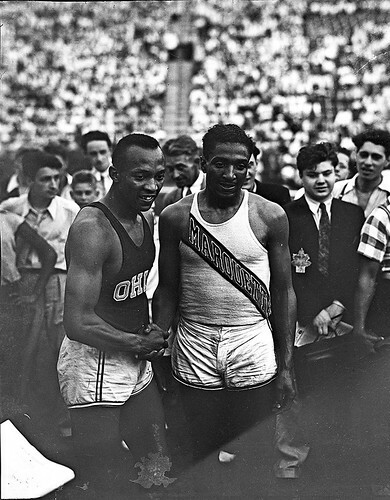 Jesse Owens and Ralph Metcalfe at the 1936 Randall’s Island Olympic trials, New York, NY. Richard Nixon, President of the United States visited his ancestral home at Hodgestown, Timahoe Co Kildare, Ireland on October 5th 1970. He was on a three day state visit to Ireland. 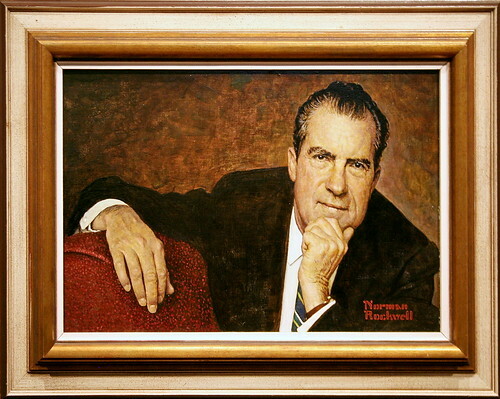 Nixon had taken up office in January 1969 as the 37th President of the United States of America. It is said that he immediately began to plan a visit to Ireland in order to secure the Irish vote for his re-election. He felt he had underestimated the Irish vote when he lost to John F Kennedy in 1960. Richard Milhous Nixon was born in Yorba Linda, California in 1913. He qualified as a lawyer and was elected to the US. House of Representatives in November 1946. In 1950, Nixon was elected to the United States Senate and in 1952 was chosen by Dwight Eisenhower as his running mate in the election for president. He served as Vice-President for eight years under Eisenhower. Nixon was nominated to run for President by the Republican Party but was narrowly defeated by John F. Kennedy in 1960. He was eventually elected US President in 1968. During his time as President, Nixon ended American involvement the Vietnam War, opened diplomatic relations with China and introduced several reforms in the US. He was re-elected to serve for a second term in 1972. However in 1974, following the Watergate scandal, he became the only US President in history to resign from office. Richard Nixon’s maternal ancestors, Thomas and Sarah Milhous, left Ireland and settled in Pennsylvania in 1729.The Nixon family had always been aware of the Timahoe connection and Nixon’s aunt, Rose, visited Timahoe in 1952. In Timahoe Nixon and his entourage were greeted by a crowd of about 1,000 people. They were entertained by the Artane Boys Band and the President unveiled a monument. Inscribed on the monument are the words, ‘In memory of the Irish Quakers of Timahoe. Dedicated October, 1970 by Richard Milhous Nixon, President of the United States of America, whose maternal ancestors are resting here’. President Nixon’s wife Pat Nixon (nee Ryan), whom Nixon referred to as ‘my wild Irish Gypsy’, accompanied the President. During their visit to Ireland. Pat Nixon took the opportunity to visit her relatives in Robeen near Ballinrobe, Co Mayo. Richard Nixon, the 37th President of the United States was born in Yorba Linda, California in 1913 On This Day. Tony O’Malley was an artist who was a native of Co Kilkenny, Ireland. His father was from Clare Island off the Mayo coast. O’Malley was born in Callan Co Kilkenny in 1913. After completing education he began working with the Munster and Leinster Bank now part of Allied Irish Bank (AIB). Whilst working at the bank he began drawing and painting as a hobby. In the 1940’s O’Malley contracted TB which gave rise to long periods of hospitalisation. He began painting in earnest while in convalescence. When he returned to bank work, he continued to paint and in 1951 he held the first exhibition of his work. In 1958 O’Malley, who was by then an entirely self-taught artist, retired from the bank to paint full time. He had visited St Ives in Cornwall, then an important centre for abstract artists, on a number of occasions during the 1950’s. He settled in St Ives in 1960 in the company of many leading artists of the day. 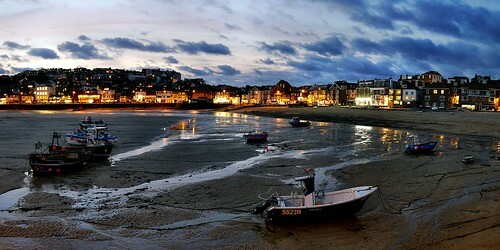 The Arts Council of Great Britain provided subsidised studios and accommodation in St Ives for artists allowing them to concentrate on their work. 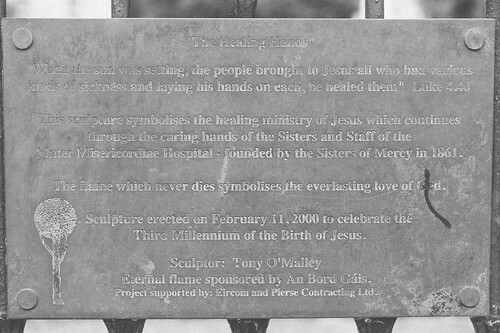 Tony O’Malley was a beneficiary of the scheme. Now O’Malley’s former home and the shop his parents owned in Callan has been transformed by his wife into a residence where artists can work and live. Tony O’Malley, who is regarded as one of Ireland’s leading painters, was born in the year 1913 On This Day.